Walk taller and feel stronger. To join this Boxercise fitness class in Abu Dhabi or if you just need to ask a question about the class please use the form below and the class organiser will get back to you asap. 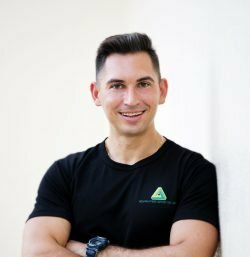 Andrey is an expert personal trainer based in Abu Dhabi. If you need to get fit, tone your body or lose some weight these fitness classes at the Abu Dhabi Golf Club can help. Andrey is also available for one to one and group personal training sessions at your home or your building gym.